Hourly swing charts offer an easy indicator-free style of trading. 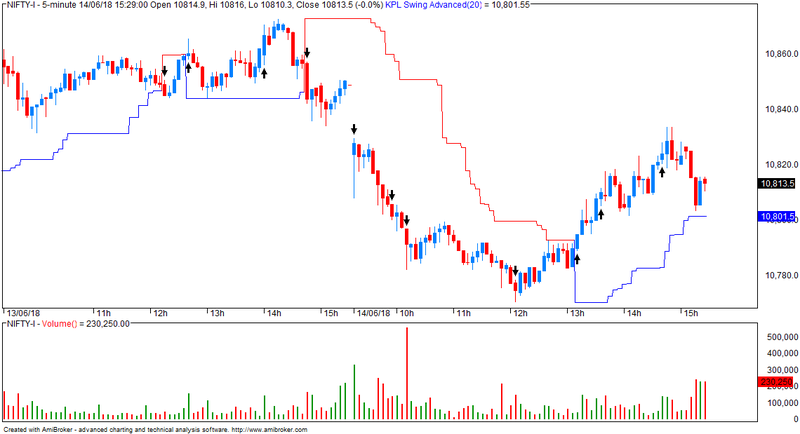 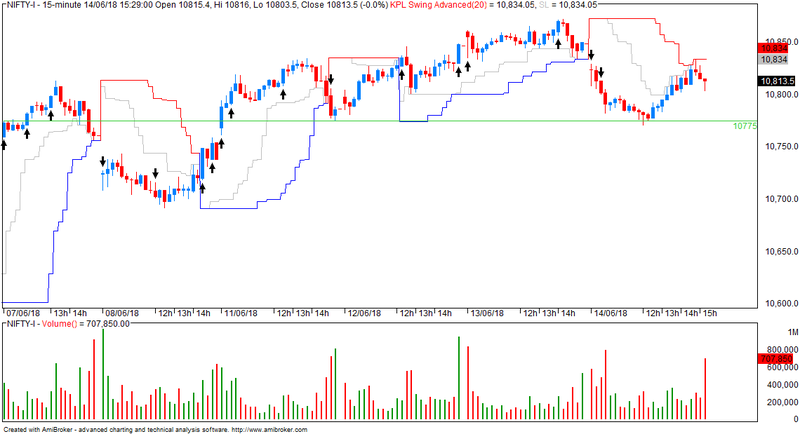 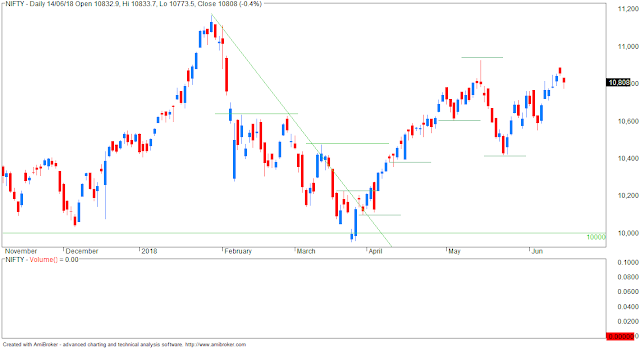 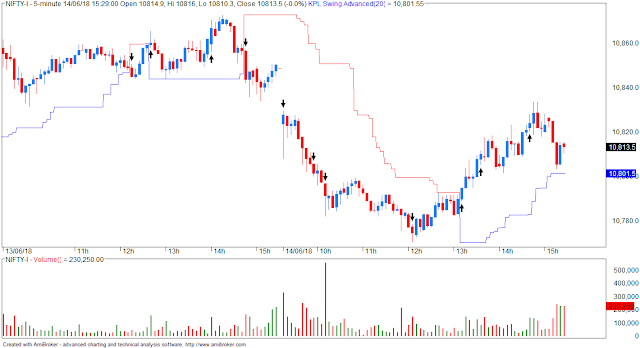 Same chart with kplswing indicator... I am not showing trailing SL as it makes chart messy.